The image on the left (before treatment) is typical of transmission electron microscope (TEM) images of polymer blend films. 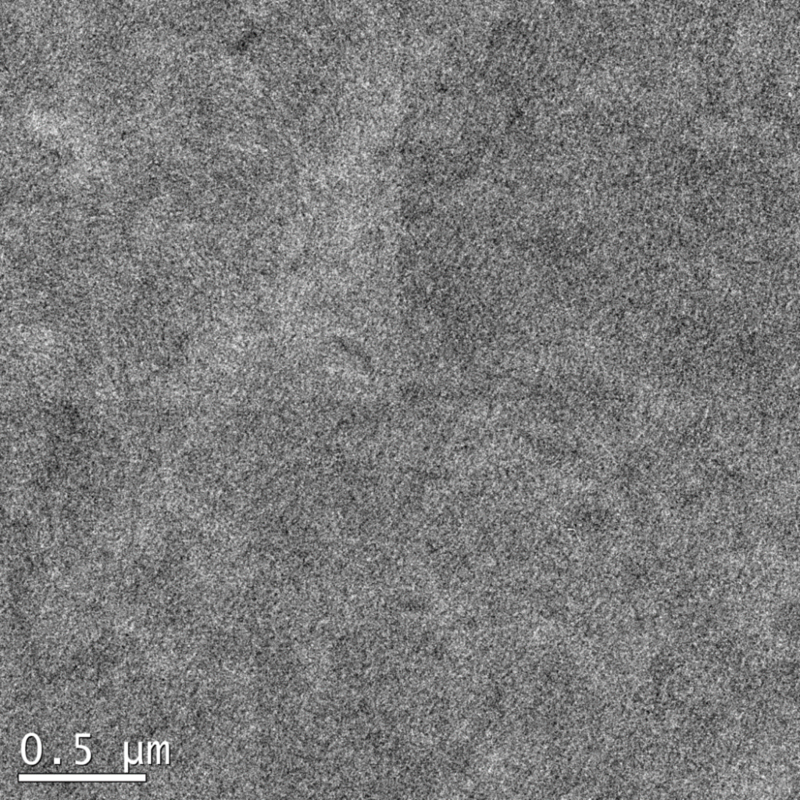 The similar electron densities of the two polymers preclude phase contrast in TEM images. By staining with a redox agent, one phase of the polymer blend is doped, thus increasing electron density and phase contrast. The image on the right is the same polymer blend film after being treated with a solution of ferric chloride (an oxidizing agent). 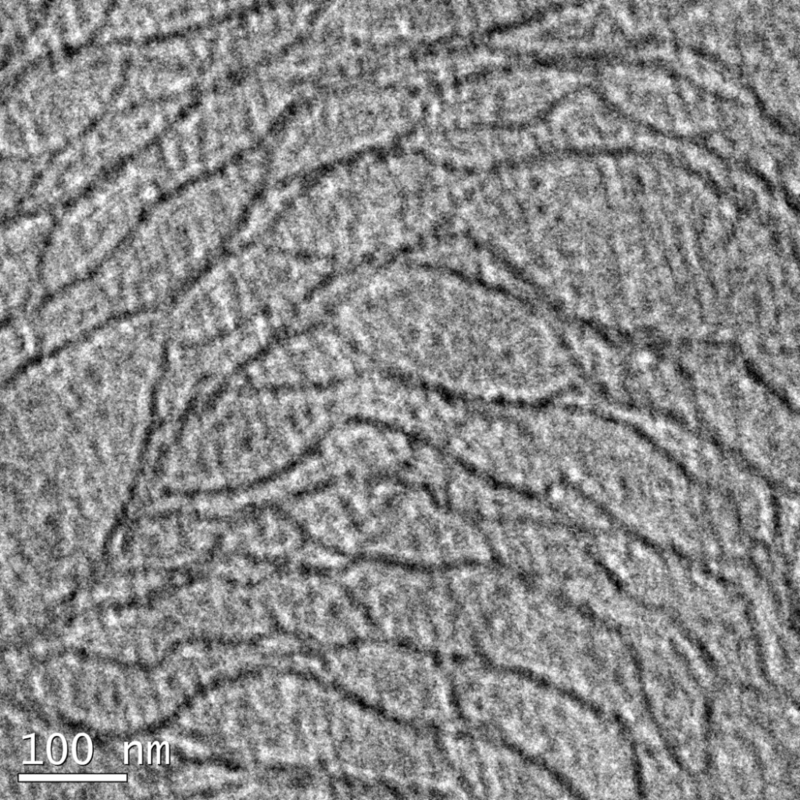 The ferric chloride selectively dopes the donor (p-type) polymer and makes it appear darker when imaging with TEM. This approach will allow us to study and control the nanoscale morphology of polymer/polymer solar cells and potentially improve the efficiency of this next generation energy technology.